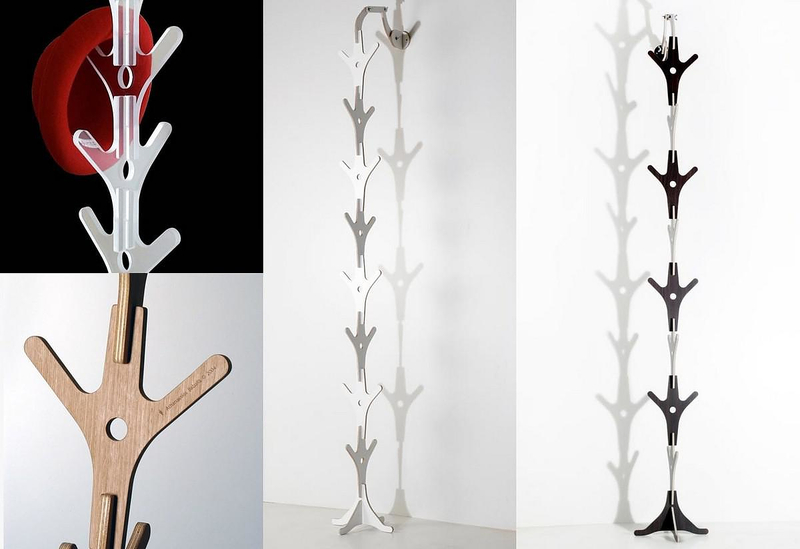 Ypsilon is a stunning modular coat rack by Industrial designer Athanasios Babalis, it is height adjustable and offers great mounting flexibility. 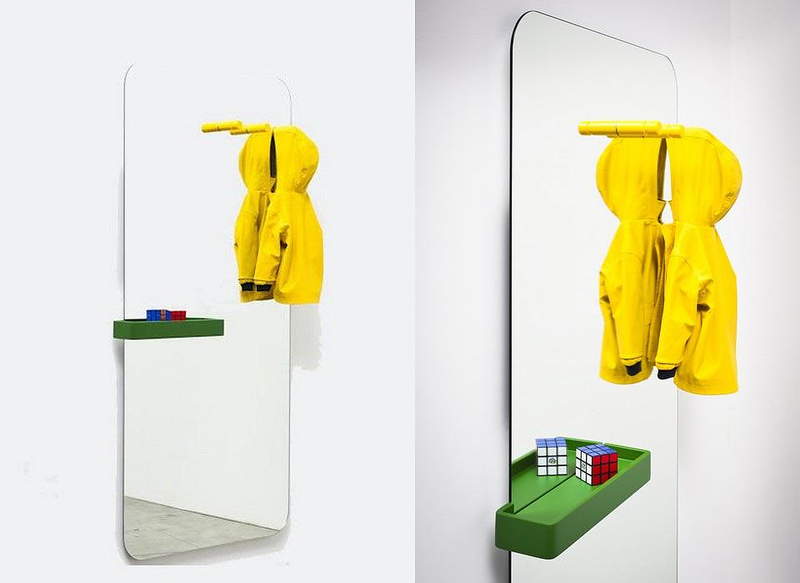 The Benvenuto Mirror, designed by Paolo Cappello for Italian brand Miniforms is a minimal and elegant object, particularly suitable for use in a lobby. 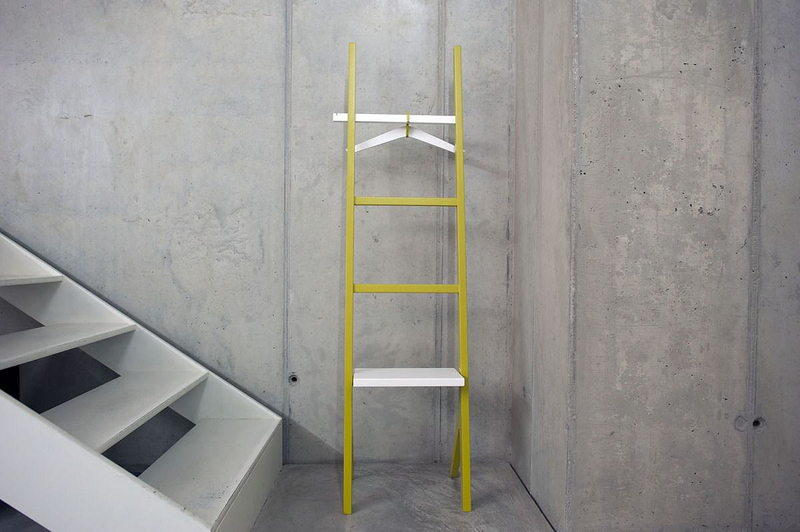 The YPSY Shelving Unit by Two.Six is a stylized and flexible piece for bathroom or bedroom, a functional reinterpretation of the traditional ladder. 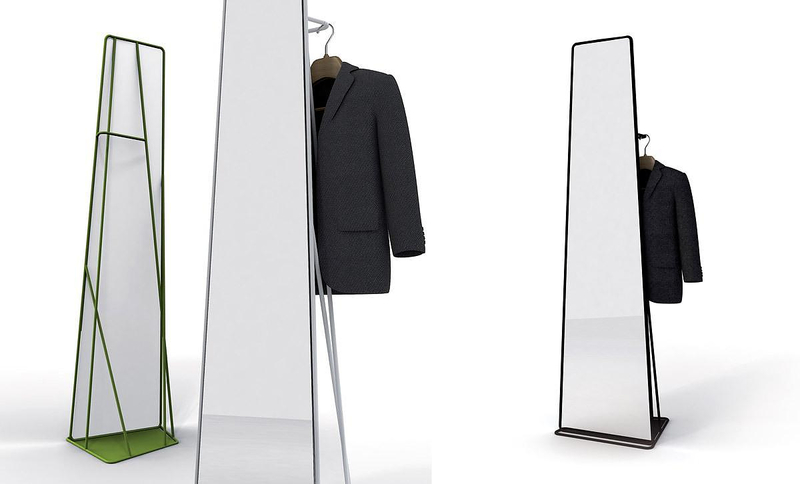 The Watergate Mirror by Roberto Paoli for spHaus and it is a contemporary freestanding mirror with an integrated clothes stand elegantly hidden behind it. 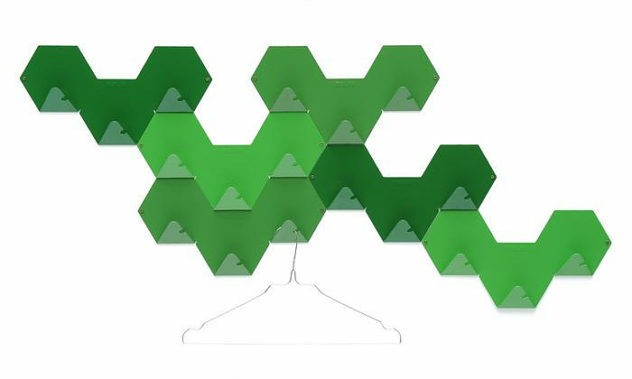 The T-square Hanger by designer Jennifer Rabatel is a fascinating object with modern design, practicality and a unique mechanical charm. 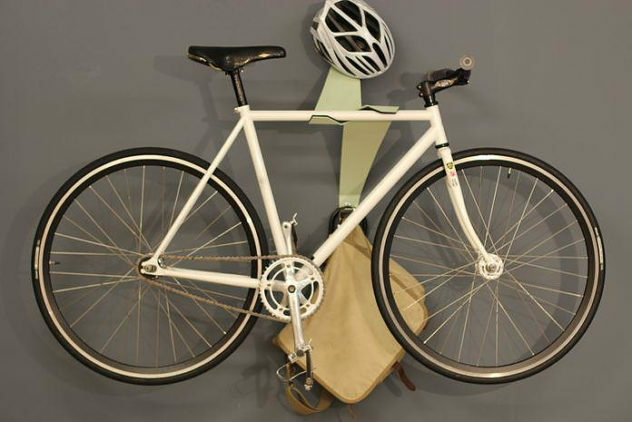 The Bike Valet is an elegant solution for city dwellers to store their bikes, its sleek angular shape makes it also a nice decorative item. 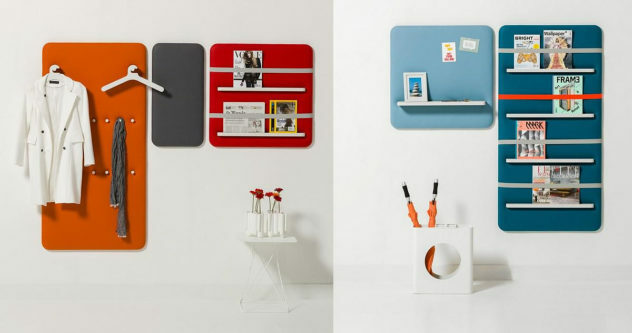 The Tolix Simplex Coat Hook combines industrial aesthetics with flexibility, its modular design allows the mixture of many hooks into a funky multi-hanger.